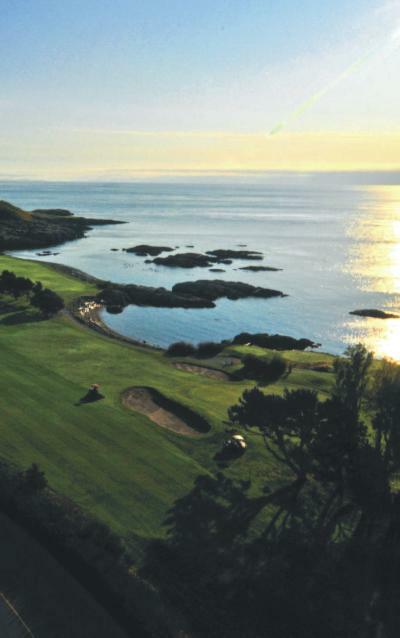 One of Canada’ oldest golf courses is located on the Pacific Coast near Victoria, British Columbia. I visited Victoria last year and the views out to sea from the Victoria Golf Course are spectacular. This course is placed amidst one of Victoria’s wealthiest areas--Oak Beach. But this golf course is not famous for its beauty or wealth instead it has been renowned for over seventy years as Victoria’s most haunted spot. I first visited this course at night and it was very dark despite being close to many of Victoria’s grand Victorian homes. As I walked toward the ocean all I heard was a strange wind and the pounding of the waves as they hit the nearby coastline. I did not encounter the ghost whose story I am about to tell but just soaking up Victoria’s charm was well worth my trip. Despite the fact these two loved each other their marriage was not a happy one. When Victor lost his job at the newspaper in 1934 due to an illness most likely connected to alcoholism Doris separated from him. The young couple, Doris was thirty and Victor was in his mid thirties tried several times to get back together but nothing ever seemed to work out for them. 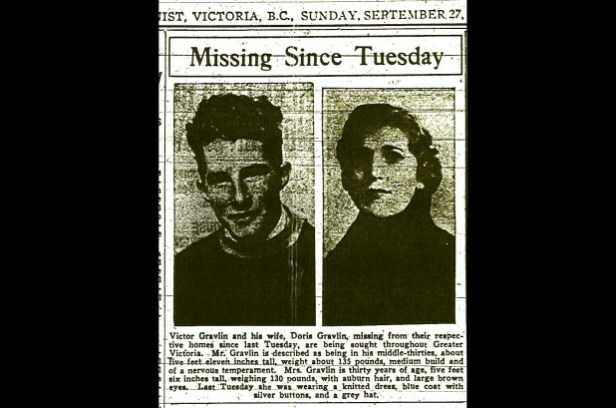 In September of 1936 Victor arranged to meet with his wife at the Victoria Golf Course after work. The pair liked to walk to the Oak Bay Beach Hotel a favorite spot to eat from this location. His parents stated afterwards that he was hoping for a reconciliation. What happened next will never be known. Both were seen for the last time alive early that evening. Victor was seen leaving his home and the elderly lady who Doris cared for bid goodbye to her early so she could be on time. Two days later the couple’s respective parents reported them missing. On Sunday a caddy discovered Doris’ beaten and strangled body on the beach. A large club like piece of driftwood lay near her body. Victor Gravlin had disappeared. A search team was organized which included a local boy’s scout troop. A month later Victor was found. A fisherman discovered his body floating offshore near the golf course tangled in some kelp. Doris’ shoes, which were not on her body when she was found, were in Victor’s pocket. The case was recorded as a murder-suicide and then closed. The fisherman was unable to say what made him turn around and look up at the bank and the green. But he did, and there, was a woman staring out toward the kelp beds. She paid him no attention whatsoever, even though she was only a few feet away. He could not immediately understand why she was there. The light was fading fast and all the fisherman noted, besides the gloomy look on her face, was what he later described ‘as an old-fashioned brown suit.’ The suit stuck in his mind because Oak Beach was, then and now, one of Victoria’s nicest suburbs, and hardly a place where a young woman ignored fashion. Over the years there have been many more sightings of Doris. She appears year round on the course but she seems to prefer the month of March. It is said she appears in the late afternoon more “human-like” but dressed in old- fashioned clothes walking around the course. She is known to leave footprints in the bunkers. But when she is seen at night she takes on a more ethereal appearance. After dark she is seen most often on the green closest to the ocean. It is a rite of passage for the young people in Victoria to go to this golf course at night to search for Doris’ ghost. 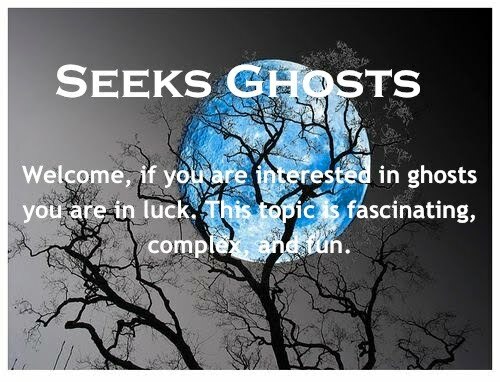 One legend associated with her haunting states that if you ring the brass bell located between the sixth and seventh holes three times it will summon her ghost. No one knows why she is connected to this bell but it is speculated that Victor might have rung it the night they disappeared. Witnesses sometimes have described her as wearing a long flowing white gown with her arms outstretched. Several people, including a group of university students in the 1960s, saw her rush toward them and then simply disappear. She is known to move very fast at times. One witness, a man, reported that she appeared directly in front of him, frightened he turned around but she was facing him once more. He turned several more times but she always blocked his way, then she just disappeared. One group who encountered her ghost stated it was a very calm windless day on the course but within moments they felt a very strong breeze lift their clothes and take off their hats. Feeling an eerie presence this group picked up their pace. One member that was behind the rest felt someone’s clammy hand take hers. Scared, she realized the rest of the group was in front of her. The hand that held hers slowly loosened its grip and disappeared. She did not see who was attached to this hand. The Victoria Golf Course has a road that runs along side. Doris’ ghost has been seen walking right through cars, which has caused quite a stir. Some state that there is a second ghost that appears at Victoria Golf Course. It is said the Victor’s mother who never accepted that her son was the murderer, can be seen wandering the course looking for the real culprit. * Robin’s grandparents raised him. He went to school in England and then stayed to join the British Army. He did not know about his parent’s tragic end until a reporter called him in 1994 for a comment about his mother’s ghost.